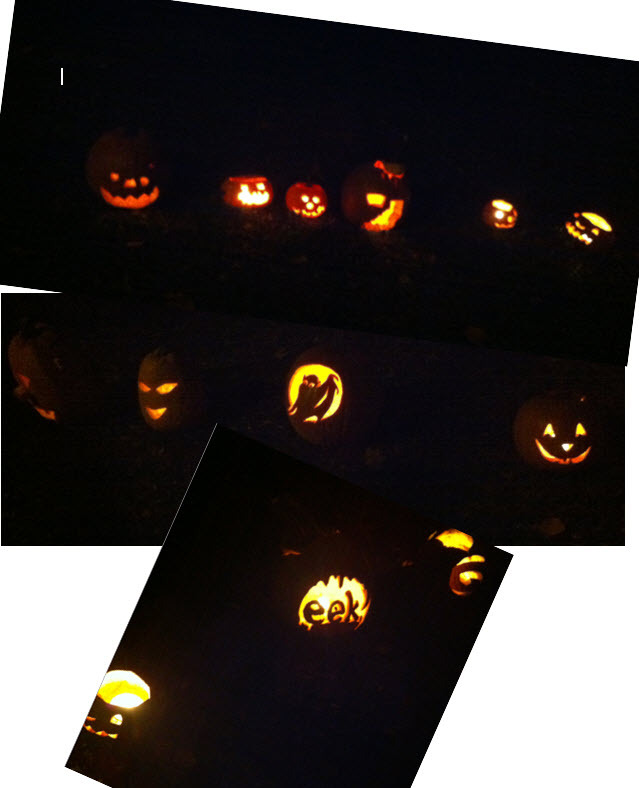 Last night in Duke Street Playground, many of our Halloween pumpkins took a little trip and lined themselves up with their candles flickering and enjoyed one last moment of glory before being consigned to the compost of history. It was great to see many creative designs and they presented a very effective row of mysterious heads. Thanks to Karin and Greg of Little City Farm for organizing it again and it was nice to see our councillor, Dan Glenn-Graham out for the short event. Over a dozen people from around the area participated, some bringing pumpkins and others just dropping by.